Jack Fowler (Randy Travis) was mistaken for a cold-blooded killer. Now he must find the real murderer before a blood-thirsty posse hangs him for a crime he didn't commit. 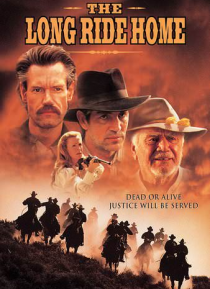 Set in the old West in the late 1860s, THE LONG RIDE HOME also stars Eric Roberts and Ernest Borgnine.